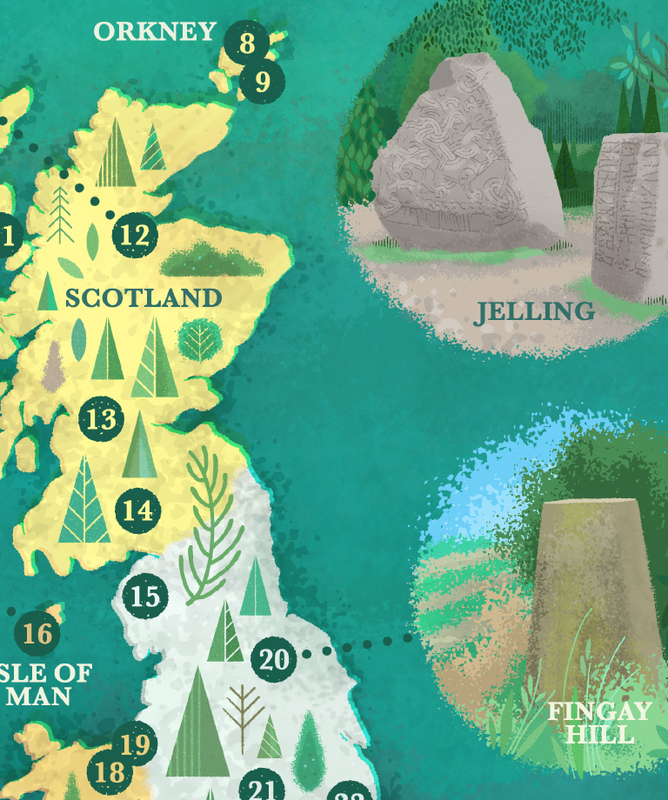 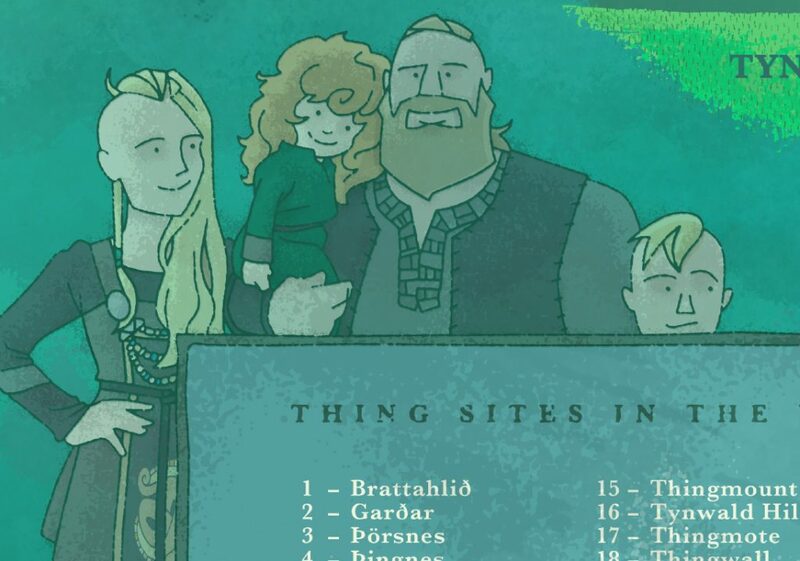 I love Vikings and Norse heritage so I was psyched to produce a ‘Thing’ site map for Culture Vannin. 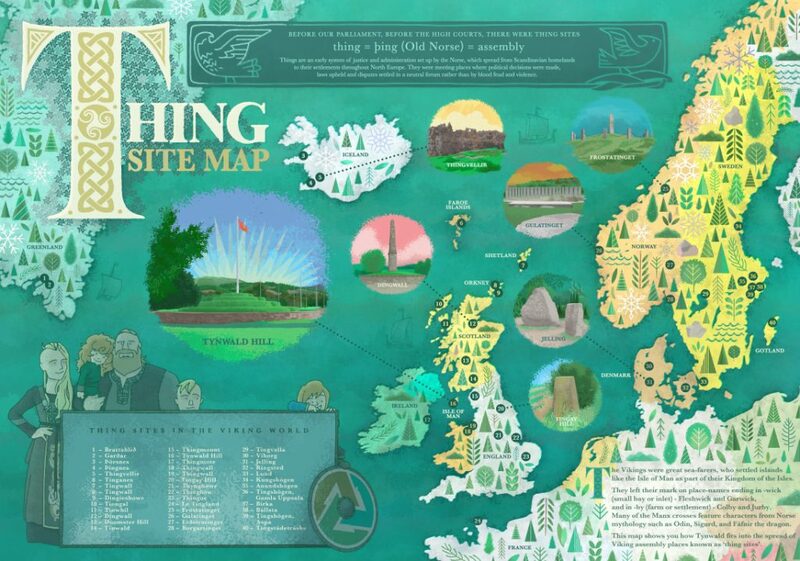 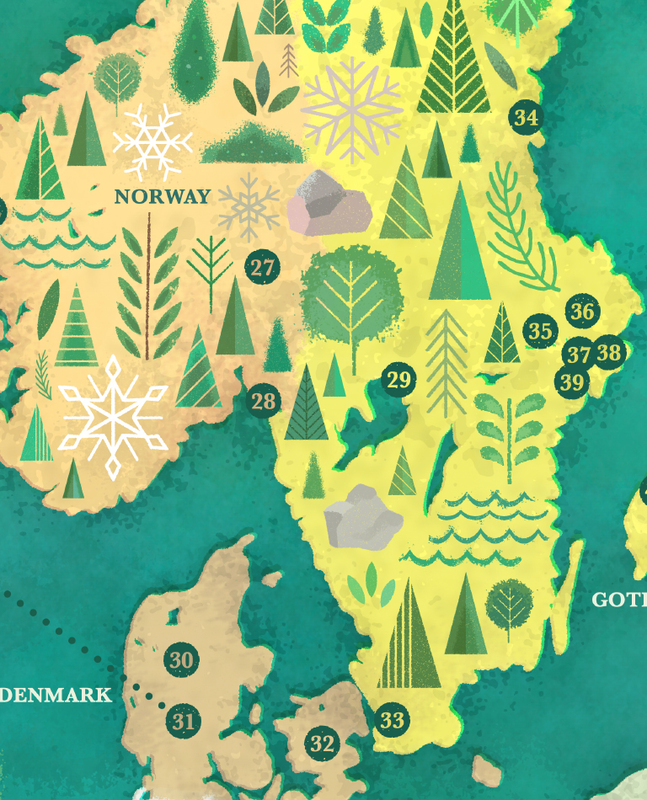 The map is to illustrate where there are Thing (assembly) sites throughout Northern Europe. 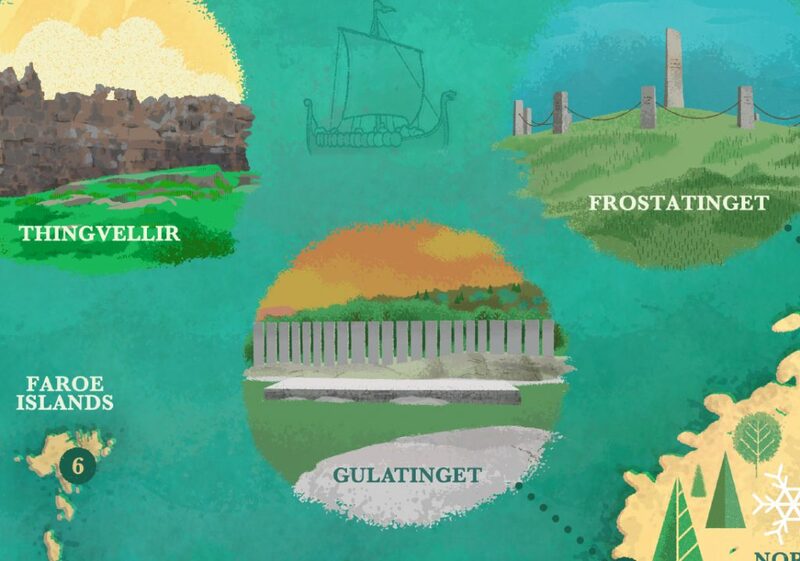 They were originally set up by Vikings and early Norse settlers and were where political decisions were made, laws upheld and disputes settled, without using violence. 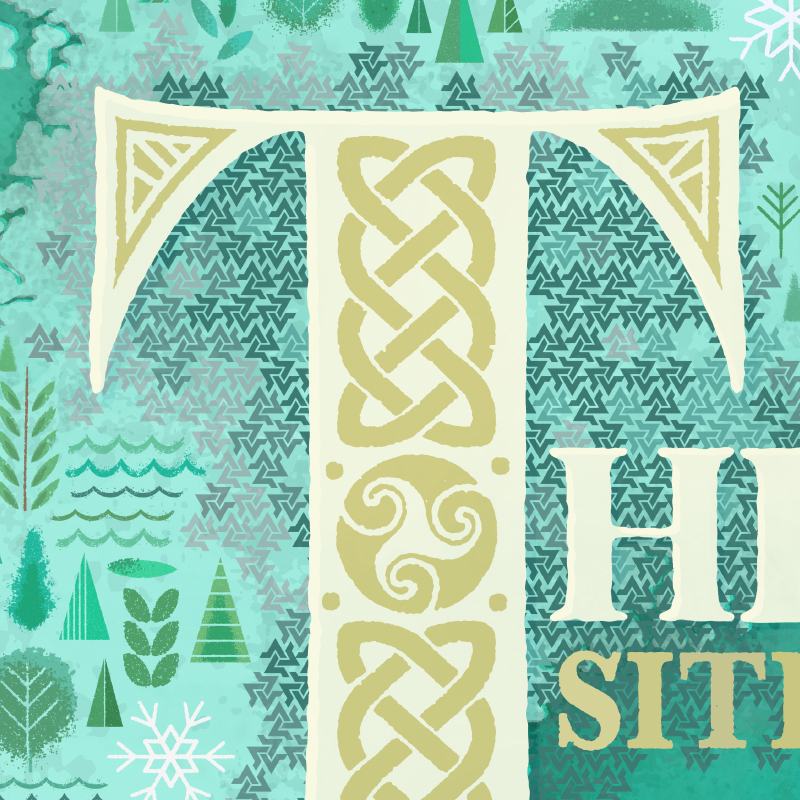 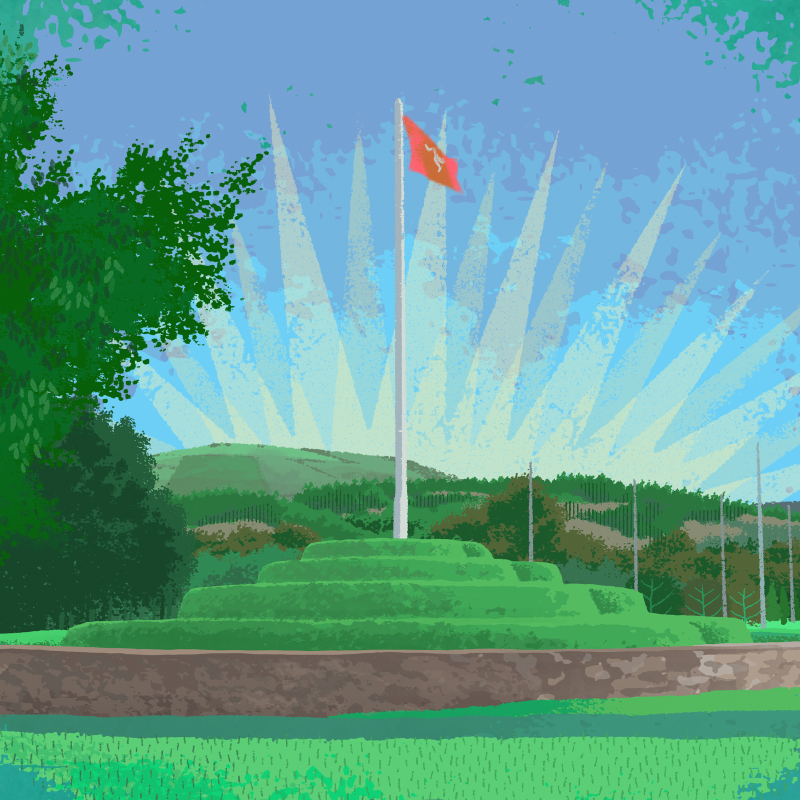 I tweaked the classic Valknut design and made it more of a 3 legs to tie in to the fact that Tynwald Hill (situated opposite the Culture Vannin Centre) is a Thing site thats still used today.